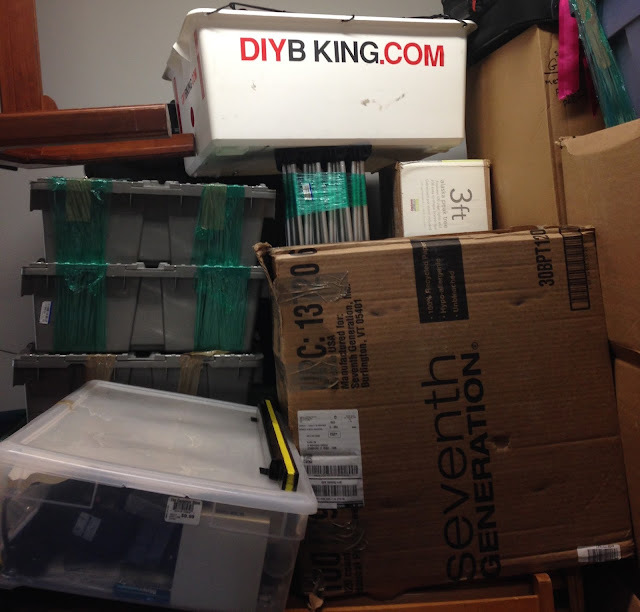 I’m very sorry, dear readers, for the large gap between posts but I can explain: I’ve successfully moved…well, I’ve moved from Connecticut to Silicon Valley. I’m unpacking and learning just how difficult it is to put things away when the away part hasn’t yet been established. It’s an episode of Hoarders in reverse. Nothing was damaged - but as you can see from a piece of the bike trailer I made, I lost an ‘I’. I’m also getting used to new things that came with the house - such as a refrigerator that has the freezer on the left side instead of on the top where it belongs (I froze my milk by accident last week - but we’re getting off the subject). My workshop moved too. As I explained during the last days of the Bikeducken it was packed up by four guys I only knew by their first names and loaded into a truck. At the time I had no idea what kind of workshop I would end up with in California. But I now have my answer. This is the third house I’ve owned in my life. Like the others, this has at least two rooms that you can put beds in. A room where you can cook food and load a dishwasher incorrectly. A room where you can sit and watch a television. This is the first house I’ve ever owned that includes a room you can put a car inside. It’s called a garage. It has a really big door controlled by a small box the size of a Generation 1 iPod. Push the button and it rumbles up. Push it again, it rumbles down. I put my car in the garage to see if it worked as advertised. It did, but I didn’t like the experience at all. Cars are very big things and I really don’t enjoy being in the same room with one. It occurred to me the concept of the garage as a building to put a car in is outdated. Unless you own a vehicle along the caliber of the Ferrari in Ferris Bueller’s Day Off, you don’t need to put it in a building. Instead you can turn the building into a space where you can be creative. Apparently that’s big here. I actually Googled ‘tech companies that started in garages’ and before I got to the first ‘g’ it filled in the blank. One of the companies that started in a garage? Google. Inc. Magazine spotlighted them and five other tech companies that started in a garage. Imagine what the world would be like if every garage was emptied of cars and filled with people who just wanted a space to build things and be creative? That’s what I want my garage to be: DIYBIKING.COM 2.0. Already a good sign: the people we bought the house from left behind bicycle hoists - a technology I have never used before. I tried it with the mountain bike I built (which made the trek across the country with me back in May) and it is hanging one foot over my head as I type this. 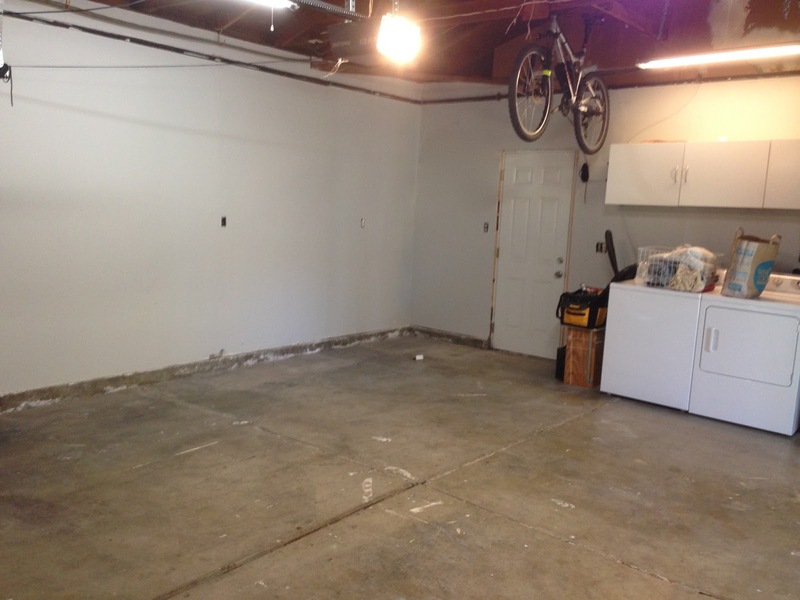 I’ve already noticed a common thing with garages in Silicon Valley: when they were built nobody bothered to finish the inside - either that or I overlooked Urine Stain in the Benjamin Moore color catalogue. Since we bought our house two full weeks before our stuff was due to arrive (more on that horror later) I decided to put some work into it while I didn’t have my stuff lying around to get in the way. 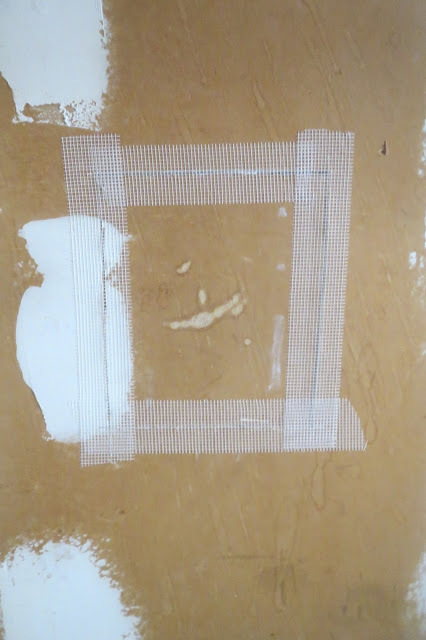 One of the things I had to do first was patch a few holes in the drywall. I got some drywall tape and joint compound (and a trowel and sandpaper since I had none of my tools with me) and set to work. This hole actually housed an electric car charger. I know this is going to sound made up, but someone else bidding on the house at the same time as us wanted the car charger to be left behind. The sellers didn’t like that, so they went with our offer instead. So someone’s fondness of electric vehicles - call it Car Culture 2.0 - got me this workshop. I was feeling really good about what I had done and how ready I was to get to building again when our stuff arrived - and I’ll cover how that was handled (and is still being handled) in my next post. In the meantime, if you have a garage, move your car out of it and move in some desks you found for free on Craigslist. Making a space to make things beats housing a motor vehicle anytime. Thanks for reading and thanks for riding.